Usually when I use the word neptune in a conversation, it relates to SpongeBob (make poses with me! ), astronomy or reruns of Hercules. 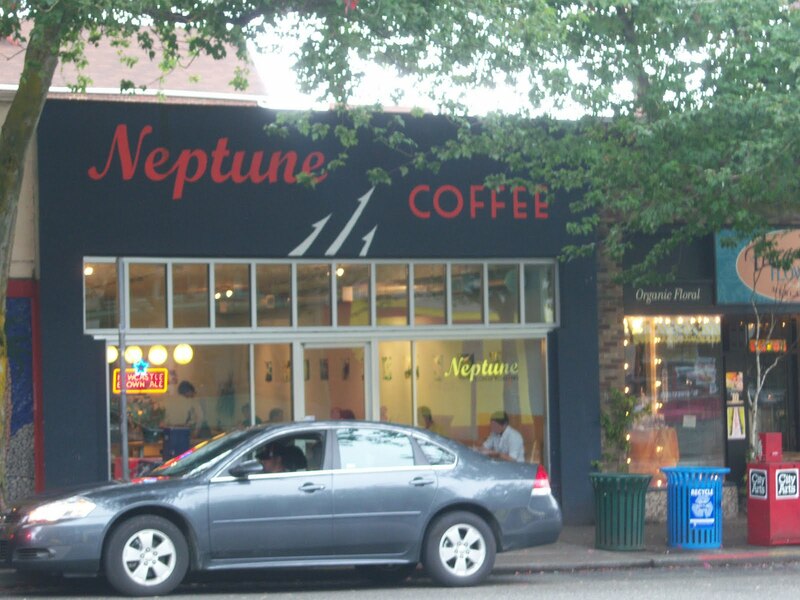 But now, I gladly add Neptune Coffee to that repertoire. 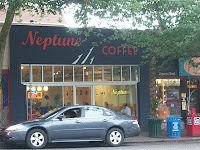 Yet another glorious example of Seattle coffee, Neptune exists on Greenwood in the company of many other coffee companies (quite the quality coffee consuming community). Their cafe contrasts with its black exterior and red name emblazoned like a newspaper masthead. As you mosey on closer, their large windows give preface to their soothing interior, complete with globe lights and a long row of tables. When it came to my order, I obtained a french press (their infusion of choice) of Allie's Extreme Laser Blend and an espresso of their El Salvador. 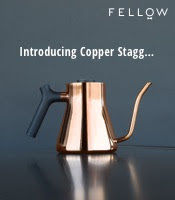 The french press lent flavors of molasses, pecan, maple syrup, a little grapefruit and grass as well as a tinge of smokiness (a good coffee, displaying a pleasant sweetness with a touch of darkness). The espresso, pulled short with good crema, held notes of hazelnut, dark cocoa, raspberry jam, corn and a little spearmint (a well-balanced shot that proved delicious). The tea is free leaf. Clearly the folks at Neptune rule amicably over their coffee and purvey it well. Definitely make a stop if you're in detour range. Bill, I just follow your blog for about 4 months. 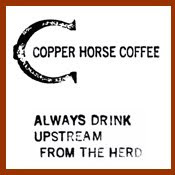 I want to know, have you ever post your opinion (on CC or Muged) about "peaberry coffee" ? If you ever, when, and if never, so please have a post about that. That sounds delicious. Neptune definitely sounds like it's worth the detour. If you're ever in the Midwest you should check out Oscar's. Howdy, I enjoyed your hark work in your page, you are standing up with knowledge! This blog is very helpfull!